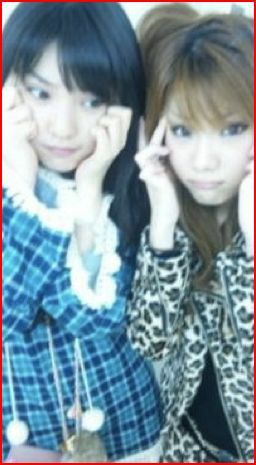 Members of Japanese pop group Morning Musume posted pictures of themselves along with comments that many found racially insensitive. When Japanese popstars post pictures of themselves with "slanty eyes" and joke that they look like a "Korean person," it is bound to stir up cultural animosity and accusations of racism. That's exactly what happened when Reina Tanaka, member of the sixth generation of Japanese girl group Morning Musume, posted pictures of herself and bandmembers Sayumi Michishige and Eri Kamei pulling up the sides of their eyes to appear slanted. Tanaka then asked the question, "Who am I?" on the blog. The response she posted? "A Korean person." Tanaka did write that Korean culture was very big in her country right now and that she and her friends were merely trying to get in on the Korean "boom." 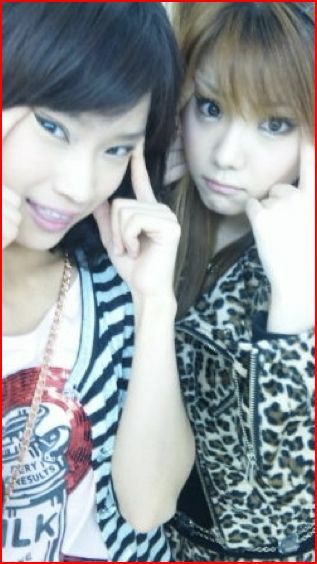 The agency that handles Morning Musume, Zetima, quickly went into damage control-mode and pulled the pics. There is no word as to what the fallout will be from the racial insensitivity, but the agency has been through stuff like this before. 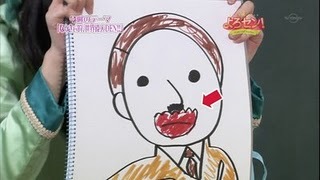 In 2008, Zetima issued an apology when another teen idol music group led a children's television show audience in drawing pictures of Adolf Hitler, commemorating him as a "great person." The group called him "Uncle Hitler" and imitated him to the crowd's delight. It seems like Zetima should teach the members of these teen pop groups a little sensitivity.